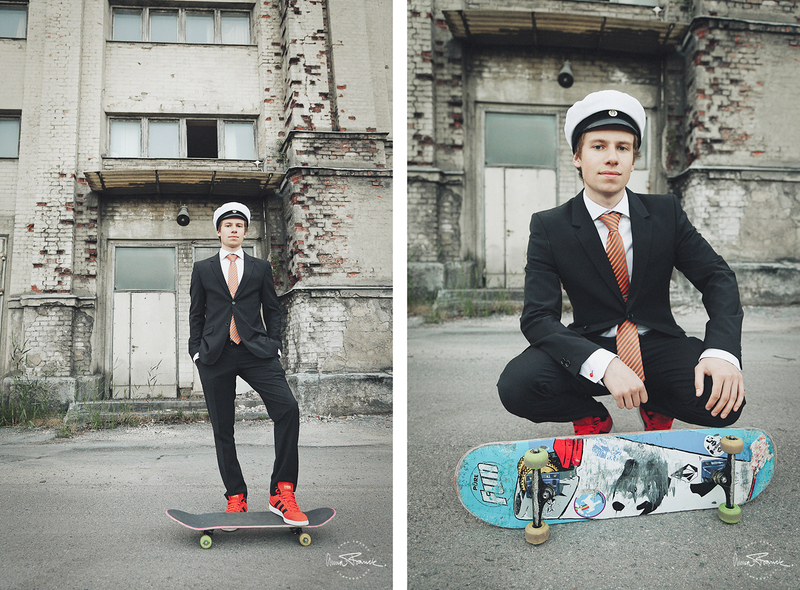 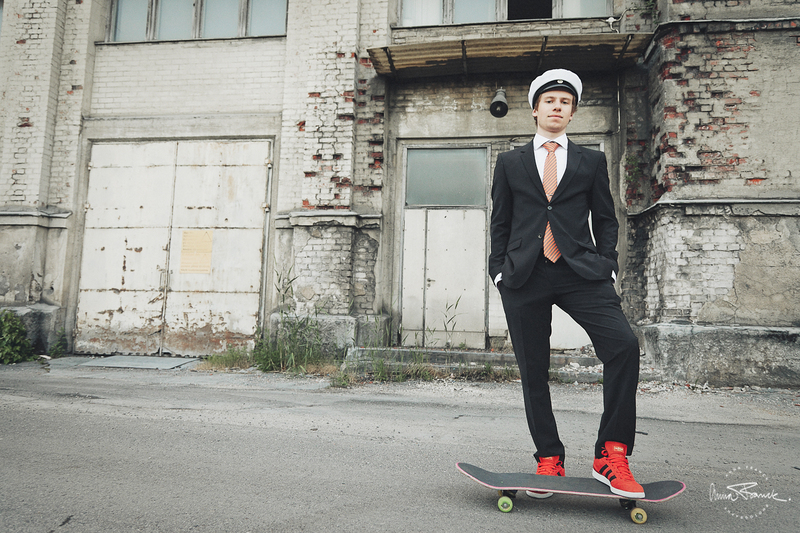 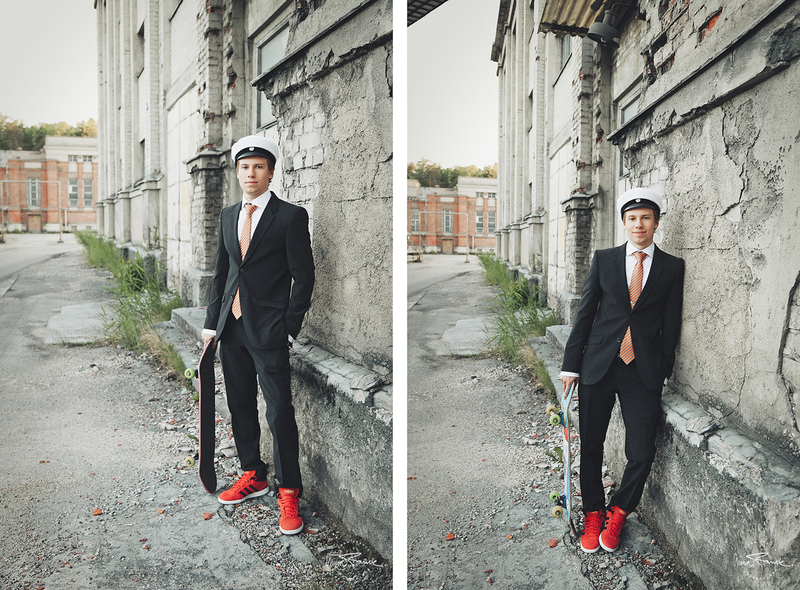 Joachim wanted photos that reflected his urban skater side. 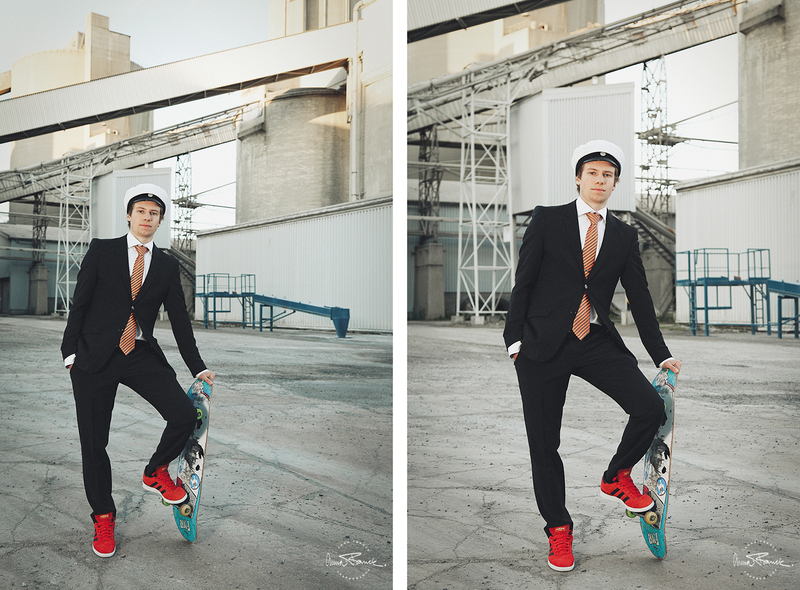 So we got him dressed up in his suit, with his sneakers on and got in to the factory area close to where he lives, thanks to his boss there. 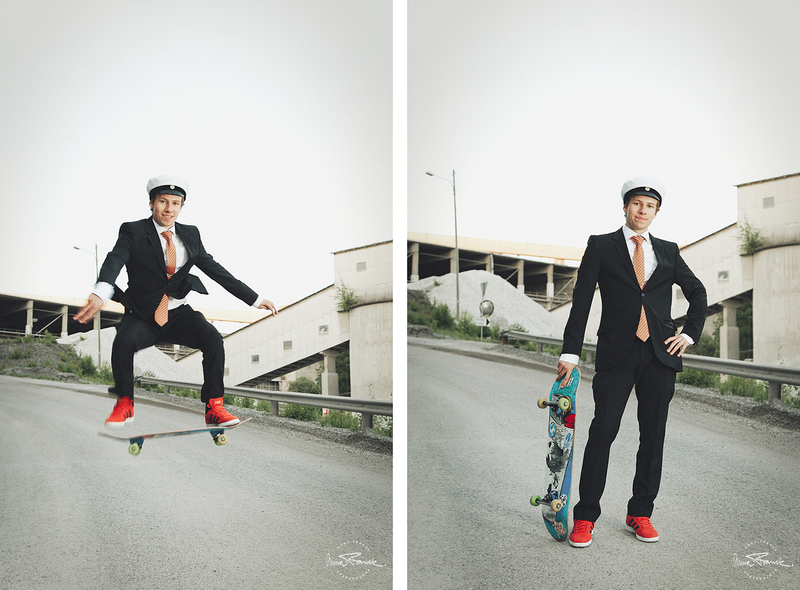 And we started out with some cool poses and then went on to the more complicated part, cool posing while doing tricks.